From my experiences with Thai dating websites, I believe that finding love is a fairly straightforward process. Well, I know that now. There are a number of common mistakes that people make when it comes to using such sites. I made these mistakes myself and it made the process a lot more difficult than it should have been. Following numerous failed relationships in the United States, I decided that the time was right to seek out love in a different place. I had some friends that had met both Thai and Filipino ladies online so I decided to give it a try. My name is Scott and I had been single for almost three years. There had been some dates and short term flings but nothing that had developed into the serious relationship that I was looking for. I researched both Thailand and the Philippines but came to the conclusion that the Thai dating culture was a little more suited to my own personality. There are a whole host of Thai dating websites online, choosing a suitable site is the first decision that needs to be made. You should be aware that Thai ladies are in the same situation as western men. The majority of them are looking for love and a serious relationship. Of course, there are some ladies that are in it purely for money but that is another story. Having never used a dating site before, they seemed very daunting at first. I began asking myself questions relating to what a Thai lady was looking for in a potential partner. I had never been to Thailand before which did not give me much information to work with. After consulting with my friends about what sort of traits would be desirable to a Thai lady, I began creating my profile. This is where the first mistakes occurred. I do not have a great deal of confidence in my appearance. I was approaching my 60th birthday and recognized that I was not looking as young as I once was. 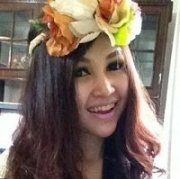 How could I meet an attractive Thai lady? I decided to use a photograph that was from almost 8 years old; that was mistake number one. I received a number of replies using this particular profile picture. The ladies that replied to me were certainly to my liking. One of the things that you should understand about the ladies who are looking for love on Thai dating websites is that they are a little mistrusting. Knowing what I do now, I can understand why this is. After chatting to them for a few times they invariably want to view more photos and even share a video call. This helps them to check whether the man in the profile photo matches the one that they are speaking to in the video call. Because I had used a photograph of myself when I looked significantly younger, the video call would always prove to be my downfall. I had invested a lot of time and effort into chatting to a number of ladies. However, once it came to chatting face to face online, every single one of them lost interest. Do not waste your time using inaccurate photos. This will only hamper your progress when it comes to taking the relationship to a more personal level. After changing my profile picture to a more realistic and truthful photo, the number of replies dropped significantly. This can be a real blow to your ego. It certainly was to mine. Reality hit home and I had to think of other ways for me to attract Thai ladies. One of the aspects of my profile that I decided to amend was in relation to my personal information. My current profile was very brief and sketchy. I had included a small amount of information on each profile. The reason for doing this was due to the fact that I wanted to join a lot of different Thai dating websites. Entering a lot of information onto each site can be time consuming. A friend advised me to simply create a document using Word. From that document I could then simply copy and paste the various personal details onto each dating site. It seems very simple but completing my numerous profiles this way had not even entered my mind. When it comes to creating your personal information, you should consider making a list of your positive attributes. Always try and be positive. Do not fabricate stories or profess to be somebody that you are not but certainly try and portray yourself in a positive light. 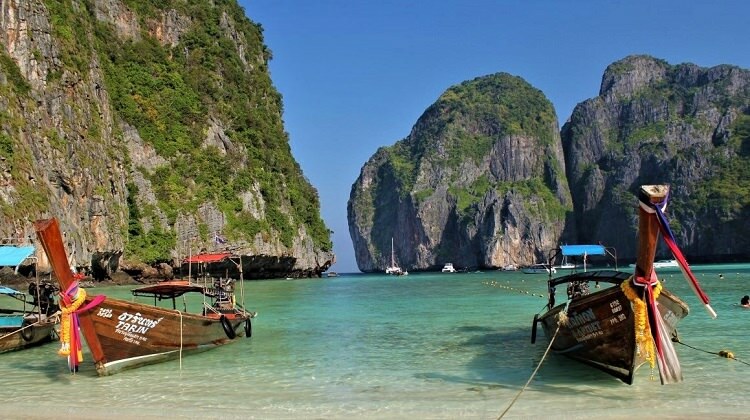 Maya Bay, one of the most romantic spots in Thailand. You should include details about your interests and hobbies, the places that you have travelled and information about your personal situation at home. You may also include information about your profession and family. The ladies that use Thai dating websites are, in the majority of cases, looking for a long term relationship. You should consider writing about the type of lady that you would like to meet. Also include a brief explanation about what type of relationship you are looking for and where you see yourself in a few years. This shows the ladies that you are thinking about the future. After I made a concerted effort to create an in-depth profile, the number of replies that I received started to increase again. An honest photograph and an insightful personal statement are, in my opinion, the two most important aspects of any online dating profile. After talking online and using video calls for almost 3 months, I decided it was time to meet Mo in person. We had immediately hit it off. She shared a number of my interests that I had listed on my profile. As I mentioned previously, listing hobbies and interests is a great way to make a connection to a potential partner. Mo was only 8 years my junior and she was perhaps a little older than I had wanted but we were certainly compatible. I had felt a lot more comfortable talking to Mo than other girls that were younger than her. She was waiting for me at Bangkok airport, holding up a huge sign with my surname on it. She was very pleased to see me, which eased a few of my concerns. I had not been as nervous as I thought I would have been. I think that this was down to the fact that we had been honest with each other from the very beginning. I stayed in Thailand for a month and we had a great time together. We are now happily engaged to be married and Mo has a desire to come and stay with me in the United States. We have discussed the way that we met on numerous occasions. She agrees with me about honesty. She gave me many examples of times that she had been chatting to men online. When it came to meeting in person or talking using a video call, many of the men had been slightly deceiving regarding their true appearance. If you want a long term relationship with a Thai lady, using Thai dating websites is an extremely useful way to meet potential partners. Be honest and genuine, give as much information as possible and you have a great chance of finding love. Building up a good profile with details about your life, your family, and especially your romantic intentions is good advice. Scott is quite right that the majority of the girls online are looking for serious relationships and you should recall my advice from the 'Thai dating culture' section i.e. they will look at you in a pragmatic way and assess whether or not you have the freedom and the finances to sustain a meaningful relationship. State on your profile that you are a kind and generous man with a good heart and that you are looking for one woman to be happy with (assuming that is your intention). If you want something casual then state that; there are plenty of ladies online that want nothing serious and it is a bad idea to dupe someone into something casual by promising something more. In all 3 of the Thai dating websites case-studies, the men involved made really simple basic errors and yet they still enjoyed success. My brief when commissioning these stories was to get some really useful tips about how to get the best out of Thai dating websites, it was a brief that went out to various expat circles and the results speak for themselves i.e. very few men use them to anywhere near their potential. If you follow my guidelines in this section of my site, about targeting the no-photo profiles and the rest, you can look forward to a lot of success and I really do urge you to consider signing up. My recommended site has got a lot to offer, but it isn’t the only option, there are others. Pick a good one and enjoy the results that flow your way!